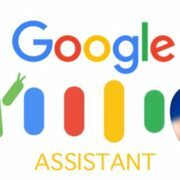 Google always initiates to enhance the user experience via their products. Just following the same the Google Map has now got a new feature that helps the users those uses the two-wheelers. 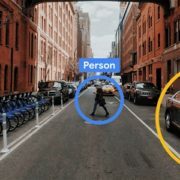 This option would prove great for those living in the crowded areas where using the cars is not a convenient option. 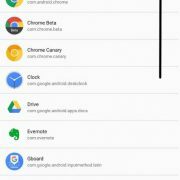 The G-Map users already have a car, train and walking options on Google Map and now you will find one more known as Motorcycle mode. 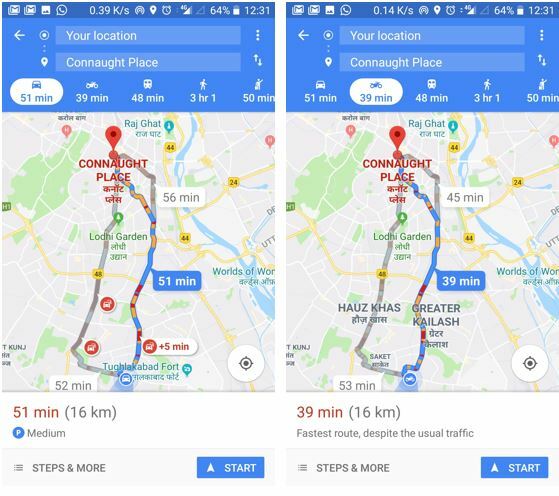 You can see in the given screenshots when we have entered some location in the Google Map with car mode option, it shows the total time to reach on the destination is 51 minutes but same for the Motorcycle or two-wheeler riders it is 39 minutes. Now, I think you might prefer to use you Motorbike to reach early. 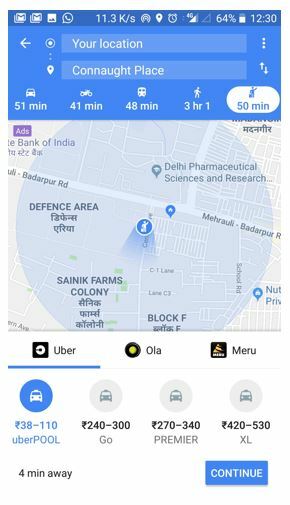 Also, the Google map shows an option which is not new but worth to tell is that the Map can compare the Ola, Uber and other cab fares too (depends on the distance). So, those are two-wheeler riders and want to get in someplace early, can ask the Google Map to suggest the best shortest with low traffic. Moreover, this Motorcycle mode also notifies you about the road blockage and parking issues. This Motorcycle mode feature, might not be a very useful in countries like the US but in Europe and Asia could prove useful when it available there. But right now the Indian user can have the benefit of this.